For the ladies’ Orange Tab jeans, pairs feature double fell inseam, wide belt loops and scoop and coin pocket. Levi’s pair of jeans is usually marked by its red tab, a feature that was first sewn onto the left side of the right back pocket of the 501 jeans way back in 1936. But did you know that Levi’s was noted for another tab color in the 1960s? A time of cultural, social and political changes, the 1960s saw the emergence of the counterculture generation that tried to break away from mainstream ideals in various ways. For instance, to project a sense of fashion individualism, this generation ripped, tailored, embroidered, and added fabric to their jeans, for literal and figurative flare. Orange Tab jeans for men come with a zip front, unique vintage shades and colors, and a more elastic waist. To support the lifestyles and personalities of these rebels, Levi’s introduced the Orange Tab collection, an original take on street-style influences. This unique collection featured an orange tab that was used on Levi’s fashion and non-basic items such as bell bottoms and boot cut jeans. Some jeans were adorned with fancy pocket stitching instead of Levi’s famous arcuate design, and some sported pintucks and other distinct designs. A collection of modern retro and vintage cool, Levi’s Orange Tab is perfect for non-conformists with a sense of fashion individualism. 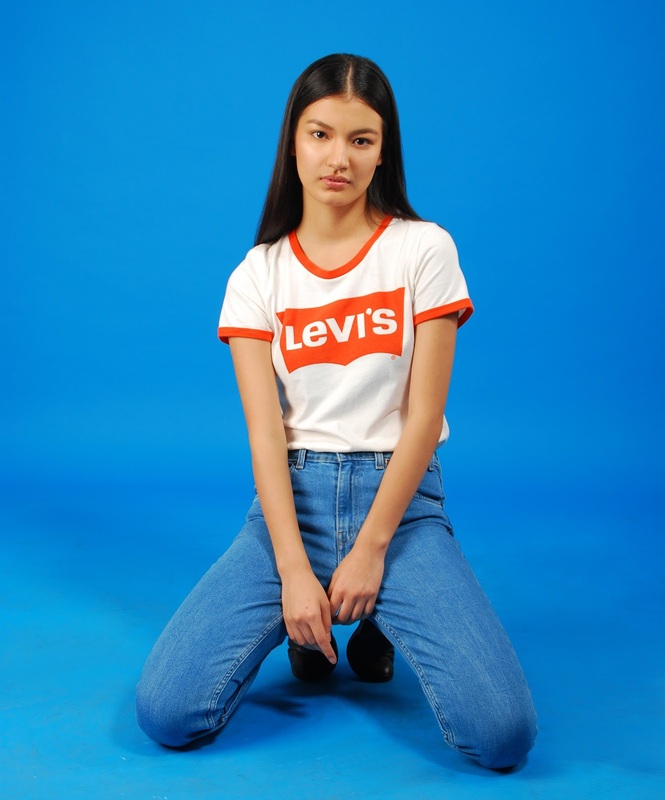 This year, as a symbol of youth and style, Levi’s is recreating these coveted original designs, remastered for today’s aesthetics and focused on utility and function. Perfect for non-conformists whose style statement is exclusively their own, the Levi’s Orange Tab Collection is a celebration of vintage cool and modern retro, combining the classic 1960’s look with the freshness of today’s fabrics and finishes. Levi’s Orange Tab jeans went through a unique dyeing process to come up with two styles as the stars of the collection: the ‘Salt and Pepper’ or color-contrast effect, which exposes the core of the yarn to naturally highlight white specks in the denim, and the ‘Vintage Red Brown’ effect, which gives the jeans a vintage bluish red-brown color for the ultimate classic, vintage look. Ladies’ Orange Tab jeans is based on the ‘70s designs, but with better stretch, remastered for today’s taste. Fabrics of the collection are based on the ’70s Orange Tab fabric but with better stretch. Unlike Levi’s Red Tab, the Orange Tab jeans features more belt loops (seven versus the standard five), talon zippers, asymmetric back pockets for a more curvaceous or masculine look, no burrs or rivets, and a tone contrast in overall stitching. For the women’s Orange Tab, finishes are inspired by true vintage garments and feature a double fell inseam. Jeans also have the 505’s wide belt loops and the scoop and coin pocket for a vintage Boyfriend style. Meanwhile, for the men, the overall comes with a zip front and a more elastic waist, and all jeans have unique vintage shades and colors. To learn more about the Orange Tab collection, visit www.levi.com.ph.